Every student and every horse have one thing in common: the right to a safe and happy learning experience at Mechlin Farm. Our training and horse care is tailored to the needs of each horse and rider. 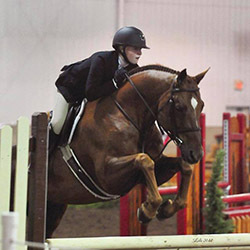 Our riders and horses are reaching and exceeding their training goals at all levels — from beginners to national champions. Excellent, knowledgeable team and first-rate facility. If you or your kids want to train at the highest level in a friendly and supportive environment — whether you’re just starting out or looking to get to the next level — go to Mechlin Farm.